Mind mapping is a highly effective way of getting information in and out of your brain. Mind mapping is a creative and logical means of note-taking and note-making that literally "maps out" your ideas. 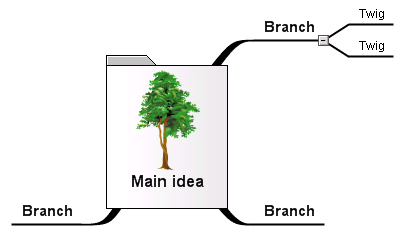 All Mind Maps have some things in common. They have a natural organizational structure that radiates from the center and use lines, symbols, words, color and images according to simple, brain-friendly concepts. Mind mapping converts a long list of monotonous information into a colorful, memorable and highly organized diagram that works in line with your brain's natural way of doing things. One simple way to understand a Mind Map is by comparing it to a map of a city. The city center represents the main idea; the main roads leading from the center represent the key thoughts in your thinking process; the secondary roads or branches represent your secondary thoughts, and so on. Special images or shapes can represent landmarks of interest or particularly relevant ideas. The great thing about mind mapping is that you can put your ideas down in any order, as soon as they pop into your head. You are not constrained by thinking in order. Simply, throw out any and all ideas, then worry about reorganizing them later. 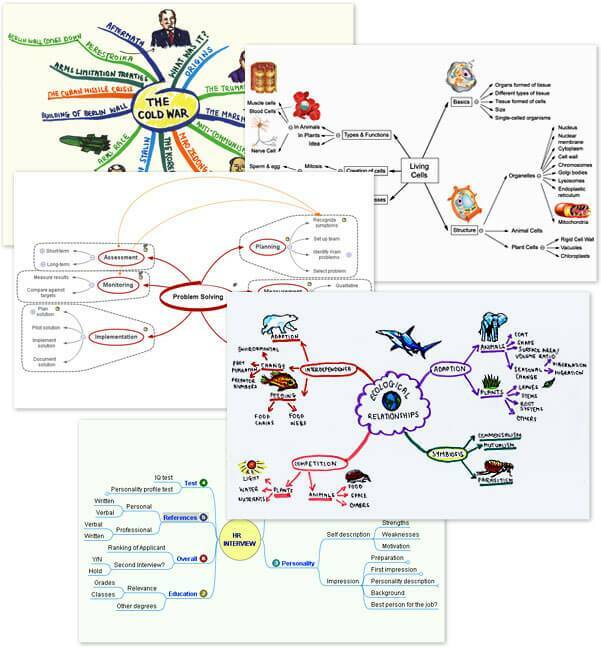 There are many great mind mapping software programs out there to help you organize your thoughts and then automatically export them to an easy-to-read, ordered list. While it is absolutely possible to mind map the old-fashioned way with a pen and paper, why not take advantage of the technology age and save yourself some much needed time? The mind map is the external mirror of your own radiant or natural thinking facilitated by a powerful graphic process, which provides the universal key to unlock the dynamic potential of the brain.